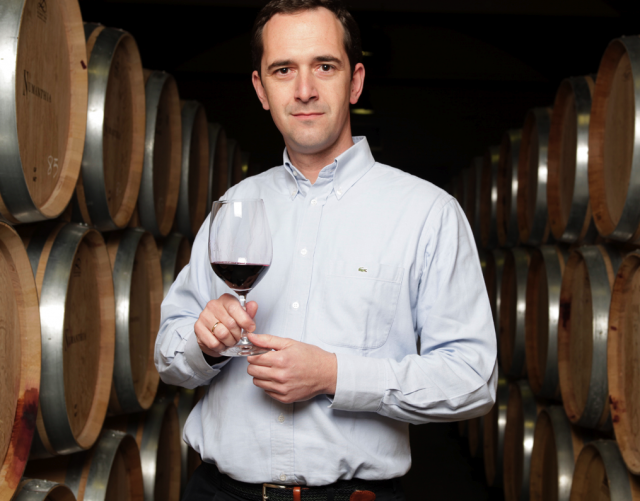 Manuel Louzada, winemaker at LVMH-owned Toro estate Numanthia, has defended his use of “200%” new French oak in top wine Termanthia. “I’ve experimented with only putting the wine through new French oak once, but you get so much more complexity out of the second barrel ageing, which imbues cedar and spice notes into the wine. “Termanthia without 200% new French oak is one dimensional,” he added. Made with foot trodden grapes from pre-phylloxera vines, Termanthia is aged for up to 21 months in new oak. Danish winemaker Peter Sisseck of Dominio de Pingus in neighbouring Ribera del Duero used to make Pingus with 200% new French oak but over past five years he’s dramatically scaled back his use of new wood. While passionate about using 200% new oak for Termanthia, Portuguese-born Louzada admitted that the same approach doesn’t work for second wine Numanthia. “Numanthia loses its lovely fruit character if it goes through new oak twice. I’ve tried it out but it didn’t work,” he told db. Louzada describes 2010 as a “near perfect” vintage in Toro, but admits that the heat in the region presents challenges. “The heat means there’s no getting around the fact that the wines are going to be tannic and high alcohol. “You need precise winemaking techniques in order to achieve balance and freshness. No one wants to drink a fruit bomb, so cold maceration is extremely important,” he said. “People ask why I don’t pick earlier in order to lower the alcohol but you end up with unappealing green tannins,” he added. To celebrate the quality of the 2010 vintage, 134 five-litre bottles of Numanthia 2010 are to be released onto the market later this year, split evenly between the US, Europe and Asia. The number was chosen by Louzada as it refers to the year (134 BC) of the resistance of Numanthia, when Celtic-Iberian settlers in the city north of Madrid stood up to the invading Romans, burning themselves within the city walls rather than surrendering to a life of slavery. “I wanted to celebrate their bullish spirit and their bravery,” Louzada said. Sales of top wine Termanthia are starting to take off in China, but Louzada is loath to push the wines too hard there as he only makes 6,000 bottles a year. “Things are starting to kick off in China but at the moment we only give them 80 bottles a year. Our priority is the US market,” he said. Louzada revealed that Termanthia has become something of a cult wine in the US, with a small group of collectors proudly showing off tattoos of the wine’s logo at tastings. Meanwhile, aware of the impact heavy bottles have on the environment, Louzada is keen to bring Termanthia’s bottle weight down from 1.2kg to 900g. “Unfortunately, there’s still this perception in Spain that a heavy bottle equals a quality wine. “I’m going to start decreasing the weight of the Termanthia bottles this year and hope to eventually bring it down by 20%,” he said.